Today’s marketer is under immense pressure to perform and demonstrate real business impact. Inside sales want more leads, field sales want better leads, account management wants deeper engagement and the C-Suite wants more revenue now. Today’s B2B Buyer has more access to information on products and services than ever before, and often knows more about your solutions than your sales team. 95%+ of website research is done anonymously by larger and larger buying groups. Today’s B2B Buyer has become: Hyper-Aware. So, B2B Buyers are now Hyper-Aware but B2B Sellers are essentially driving blind. Spray and pray marketing tactics will no longer identify, engage, nurture, convert and retain the right buyer with the right experience at the right time. Today’s Hyper-Aware B2B Buyer doesn’t just appreciate this awareness of his needs and timing he expects it. To succeed the B2B seller must adapt to the way the customer is buying or fail. Okay then! Easy enough you say. I’ll listen to all of those talking heads and implement a marketing and sales alignment plan. We’ll drop some cookies on our web visitors, add some third party data, and then blast them with emails and display ads. Voila! Problem solved! Well, today’s B2B Buyer expects you to know things about them. They want content that speaks directly to their issues. Plain and simple, they want a better buying experience. Today, Account Awareness is the game changer! This Account Awareness is the new navigation app for today’s B2B Sellers. It directs you to the insights that matter. It steers you to which web pages and emails have been viewed, by whom, how many, and how long. It’s about about scoring at the account level, not lead or contact level. 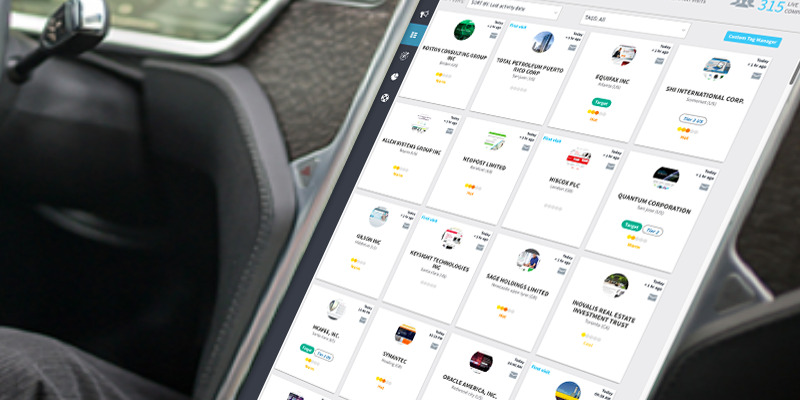 And most importantly, just like GPS, it’s about real-time information and insights that your sales enablement team can use to drive to your revenue goal. 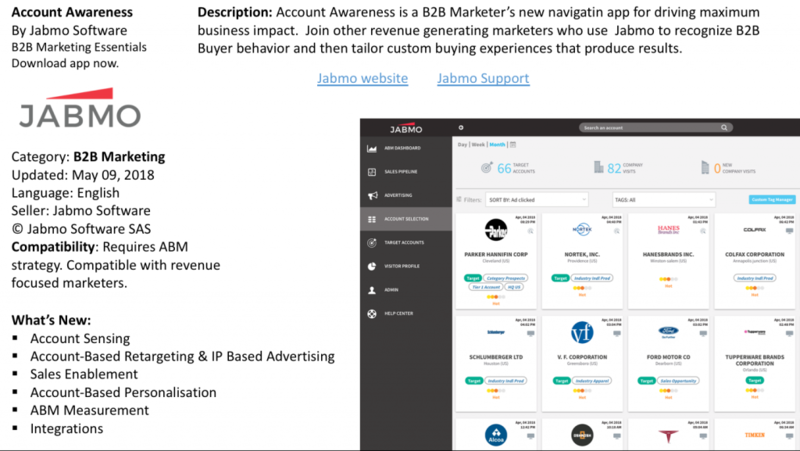 It’s this Account Awareness, this “Sensing” of target account behaviors that is at the core of the Jabmo ABM Platform.